The Ekiti State University was established and known as Obafemi Awolowo University, on March 30, 1982 by the administration of the first civilian Governor of Ondo state, Chief Michael Adekunle Ajasun. The name was later changed to what it is called today. The University is said to be a member of the Association Of Commonwealth. It is located in Ado Ekiti. 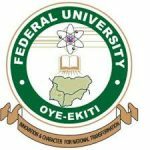 The Ekiti State University, Eksu have officially commenced their registration for the Post Utme for thus year. If you are an interested candidate who choose ekiti state university as your choice of institution and score a minimum of one hundred and eighty (180) in your JAMB UTME Examination, you are eligible to apply for the Post Utme Screening Exercise and Register for the Exam. Candidates who want to gain admission into the Ekiti state university, must have acquired a minimum of five credit passes in their O’level relevant subject combinations in not more than two sitting with their result from waec, neco, nabteb, GCE or other acceptable equivalent. 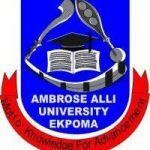 During your Post Utme Screening Exercise Registration process, you are expected to ensure that all information’s uploaded to the schools portal are VERY correct as any wrong information will be categorized as a fault on the path of the candidate and could mean forfeiting of your admission even if you could have been eligible for admission. 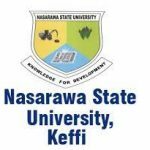 If you did not choose Ekiti state university as your choice of institution, and you wish to change your institution to eksu, you would be considered for the process. Any candidate that fails to participate in this screening exercise can not be considered for admission because this exercise is the basis of admission in to the university. Indigenes of Ekiti who have passed their various exams would be considered for the admission process and might end up lucky. To apply, log in to www.eksueportal.eksu.edu.ng and click 2018/2019 UTME/DE application and you will be taken to the online portal where you would apply. When the page has loaded, click new applicant and provide the necessary information requested by the portal to create your account with the school’s web site. A link would be sent to your email. This link is what you would use to complete your registration. Go to your email and Click on this link and select 2018/2019 PUTME APPLICATION when the page has loaded. Make sure your details are correct and pay for the application form. After payment click proceed and fill in the remaining details. When you are done, Submit. Fill in the requested details in the required column. Finally click on ‘search’ to access your Post Utme Screening Exercise Score. To pay any fee to the Ekiti state university, go to the school portal and make payment. 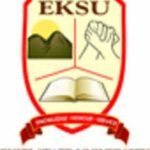 All payment to the school, Eksu is done online and none is done through any agent. Be wise, be careful and beware of scammers. Goodluck.